Sansha, a city China set up in July on an island. A Chinese official clarified new regulations allowing Chinese police to board foreign ships in parts of the disputed South China Sea that had raised fresh alarm among some of China’s neighbors. The new regulations don’t apply to all of the territory that Beijing claims, a Chinese official and expert on the region said Tuesday following expressions of concern about the rules from several countries in the region, already on edge from other scuffles with China. 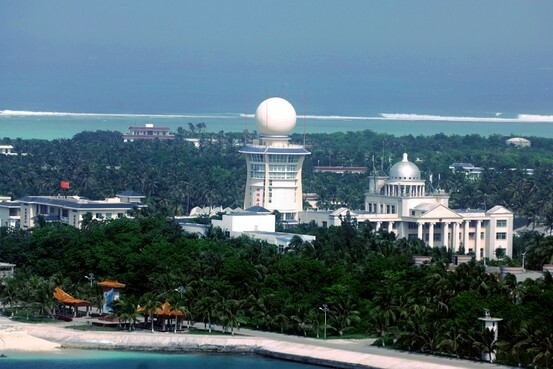 Several experts on the region had said the rules, which have yet to be published in full, appeared to apply to the 12 nautical mile zone of territorial waters around islands that China claims, although it was unclear how they would be enforced in practice. However, Wu Shichun, the director of the foreign affairs office of the southern Chinese province of Hainan, who is also president of the National Institute for South China Sea Studies, gave a narrower interpretation of the regulations in a faxed response to questions. He said their main purpose was to deal with Vietnamese fishing boats operating in the waters near Yongxing island in the Paracels, which China calls the Xisha islands. The regulations, which take effect on Jan. 1, apply to waters around islands for which China had announced "baselines," Mr. Wu said. A baseline is the low-water line along the coast from which countries measure their territorial waters, according to the U.N. Convention on the Law of the Sea. He said the rules allowed police to check and expel vessels that entered, or conducted illegal activity, within 12 nautical miles of the islands for which China had announced baselines. "For islands whose territorial water baselines have not yet been announced, since there is no way to clearly define the width of their territorial sea, the aforementioned problem does not exist," Mr. Wu said. "The outside world should not overreact to the revision of these rules, or read too much into them, nor should anyone give a one-sided or distorted explanation."